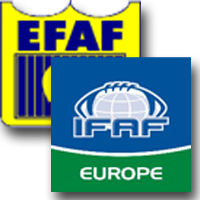 EFAF Board of Directors has already fixed after consultation with the newly appointed EFAF Club Team Competition Advisory Board the blocked dates for the upcoming 2014 season. The 2014 EFAF Officiating Clinic will take place January 24-26, 2014 at Frankfurt am Main (Germany). Cork Park Classic August 30, 2014 Croke Park is delighted to offer EFAF members an ADVANCE SALES OPPORTUNITY to secure some of the best seats for the CROKE PARK CLASSIC, DUBLIN, 30TH AUGUST 2014.